You have an interesting concept, with the C’s and new P’s. However, they are primarily means of interacting with the various levels of customers and communicating with them. 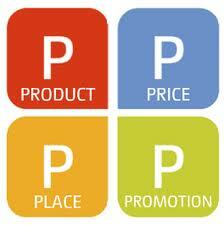 The C’s and new P’s are merely ways of approaching the essence of Marketing; Product, Price, Promotion and Place. The new terminology helps describe efforts needed to incorporate the latest means of communication being used today to create better interaction with customers. The new C’s and P’s are certainly helpful in Product development, Price setting, assuring the best means of Distribution (Place), and properly focused Promotion of Product and Service offerings. Regardless, the new C’s and P’s cannot stand alone. The original 4 P’s stand strong. John said it all, fully agree.